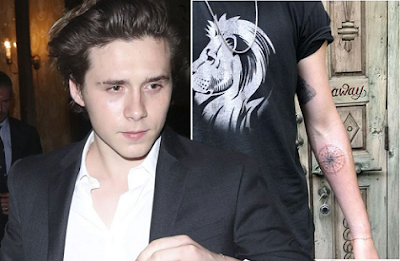 Brooklyn Beckham has taken to Instagram to show off his new tattoo. The 18 year old has a new tattoo of a compass on his forearm. The compass is an instrument used to find direction. Sharing a photo of his fresh ink with his 10.1m followers, he commented: "Thanks mate..."